Kate Gordon grew up in a small town by the sea in Tasmania. The author of six books for children, from picture books to YA, with a slew of others to come over 2019 and 2020, she is a proud supporter of ‘small island voices’. 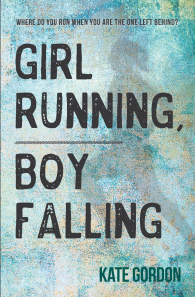 Kate’s latest novel, Girl Running, Boy Falling (Rhiza Edge), was longlisted for the 2019 CBCA Awards (Older Readers). Visit Kate’s website. Here, Kate writes about growing up in Tasmania, and living there today. Of the local stories and authors that shaped her and turned her into a writer, and of the many wonderful authors writing from that small island today. 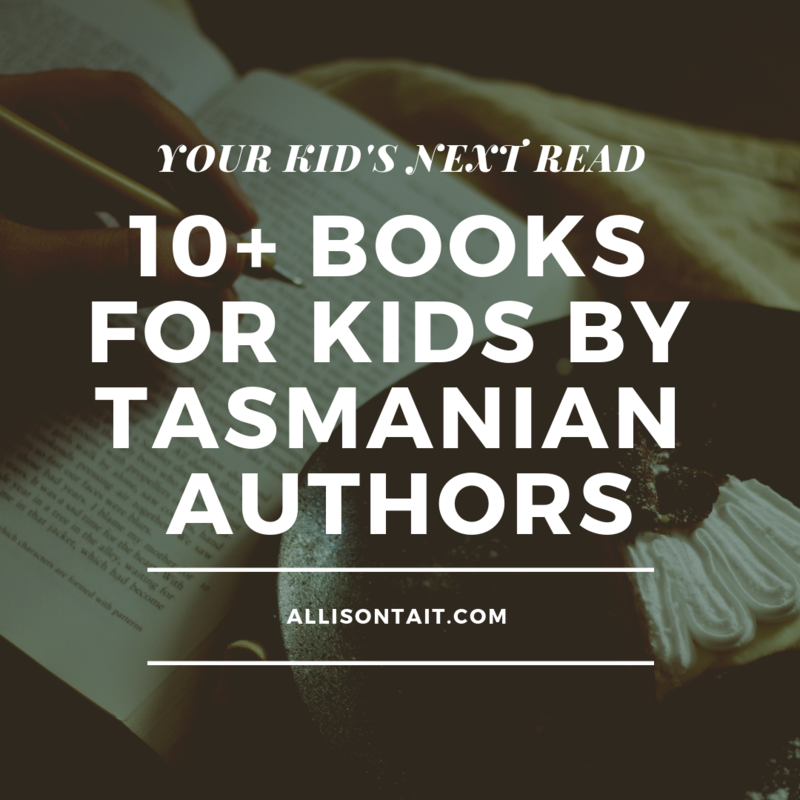 She also recommends 10+ books for kids by Tasmanian authors for you to try. What do you think of, when you think of Tasmania? When I was a teenager, I often caught a Redline bus, between our hometown on the North-West coast, and the ‘big smoke’ of Launceston. Launceston had Myer. And Sportsgirl. And Target. On the bus home, after one of our day trips, as we gossiped and ate our enormous cups of Target pick-n-mix (why don’t they still do those??? ), we slowly realised that the man in front of us was a tourist from Texas. We quietened, as we began to eavesdrop on his conversation with his (local) seat-neighbour. And, as we listened, it soon became clear that this traveller had had some very strange thoughts about our home state, before he’d embarked upon this trip. The most notable misinformation he’d been living with was that there were no people in Tasmania. I’ll let that one sit with you. He literally thought that our entire state was rainforest and wombats. That moment, on that bus, has always stayed with me. And yes, I realise that times have probably changed. The advent of widespread internet access (the above memory took place in around 1998, so the internet was definitely already a “thing”, but it definitely wasn’t in common use in every household) has made it much more possible to know what life is like in faraway places. Still, I have always lived with, in the back of my mind, that what overseas – and even interstate – people think of my island is very different from the reality. One of the most notable areas where this is true is when it comes to our arts scene. When I was a kid, I never considered that being a writer might be a possibility. Writers didn’t come from little towns like Wynyard. Writers came from the mythical place called ‘The Mainland’, and probably from the Magic Kingdom of Sydney. I didn’t meet another writer until I was in high school – the magical unicorn, Steven Herrick came to speak at our school and changed my life. But even he was from the big island. He was a ‘mainlander’. He wasn’t like me. It took moving to Hobart, in my early twenties, to pursue a career in librarianship, for me to discover that there were other writers in Tasmania. But again, all the ones I met seemed to be memoirists or poets. I was only 23. I wasn’t old enough to be a memoirist. So, I tried to be a poet. I soon realised that I was probably too young to be a good poet, too. What I really wanted to do was write children’s books. But there were no other children’s writers in Tasmania, of course. Well, that’s what I thought, then. I didn’t know, then, that some of my favourite childhood books were written by a Tasmanian – Sally Odgers. I didn’t know that the funny Warts ‘n’ All book I’d seen in the library of the school where I worked was also by a Tasmanian writer – Anne Morgan. I didn’t know that Undine was written by Hobart girl, Penni Russon. 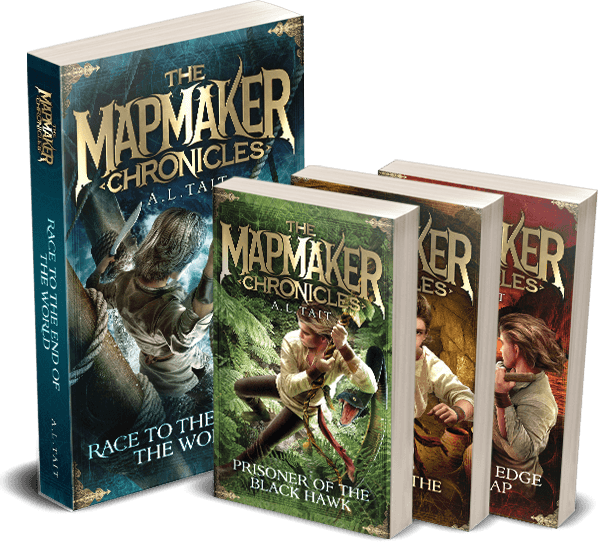 I didn’t know that, living very near to where I grew up, there was an amazingly talented YA author called Kathryn Lomer, who would, in time, become one of my favourite authors, and a friend. Most importantly of all, for my own writing journey, I didn’t know that there was an amazing picture book writer called Christina Booth, living in the city where I went to university, who would come to be one of my best writing friends and – accidentally – be responsible for me getting my start as a children’s writer. All of this is to say, I was stunned listening to the tourist who thought that Tasmania was one enormous, heart-shaped forest, devoid of all civilisation. But I had some pretty big misconceptions of my own. Over the years, I have learned that Tasmania has a thriving, AMAZING, tight-knit and immensely welcoming children’s writing scene, and I feel so lucky to be able to now count myself as one of its members. I also make it a priority to set all my stories in Tasmania. This is especially prominent in my latest novel, Girl Running, Boy Falling, which is set in my hometown on the North West Coast. 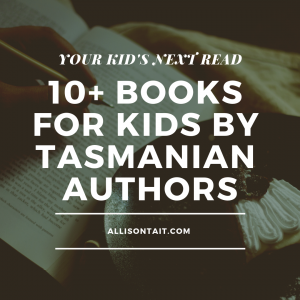 Because there might be other kids out there who don’t know that Tasmanian authors exist. Because there might be other kids out there who never see themselves in stories. Because there might be kids on the other side of the world who think that Tasmania is a Forest Land, and don’t know that our people have an incredible history, and incredible stories to tell. And that we are not elves or woodland sprites. We are just like them. Below is a list of some of my very favourite Tasmanian stories. I encourage you to get a hold of them, and to seek out others. Help me spread the word about my beautiful island and the people who live here. We may be small, but our voices are still worth listening to. I also want to give one final shout-out to teenage artist and writer, Kiara Honeychurch, whose first picture book – In the Bush I See – has just been published by Magabala Books. I think the future of our children’s writing industry is in good hands. Find out more about Kate Gordon and her books at her website, or say hello on Twitter. Are you new here? Welcome to my blog! I’m Allison Tait, aka A.L. 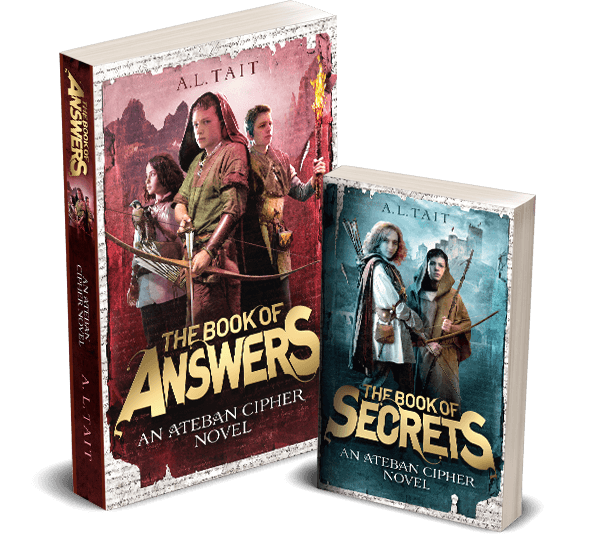 Tait, and I’m the author of two epic middle-grade adventure series, The Mapmaker Chronicles and The Ateban Cipher. You can find out more about me here, and more about my books here.